Like a kid in a candy shop … – Nice dress! Thanks, I made it!! I’ve been participating in #miymarch17 on IG and the prompt for today was “COMMUNITY”. The sewing community is definitely a wonderful place to share knowledge, projects and friendship. Today’s prompt reminded me that I haven’t had the chance to share this with you yet – my visit to the creativfestival, certainly another way to meet your local sewing community. It was my first sewing expo and I certainly hope I can attend another soon. I signed up for a class with Cindy Scraba of Cindy’s Threadworks and learned quite a few things about bag making. I always wondered what the heck I could put in my bags to make them not so floppy. Now I know! Here are a couple of many sample bags that Cindy brought with her to discuss. I bought a “few” things at creativfestival, but in my excitement, I forgot to ask about this – Texture Magic. I think if you iron it onto your quilted fabric it puckers? Has anyone out there used Texture Magic before? What’s it like? I was thoroughly entertained at the fashion shows. I could literally sit there all day and watch a parade of “me-made” clothes stroll by. The first fashion show I watched was run by The Material Girls (FaceBook). These ladies modelled their “me-made” The Sewing Workshop pattern creations. I haven’t tried any Sewing Workshop patterns yet, but they were simple garments – cardigans, tops, pants, coats, etc. All were made elegantly with the proper use of lovely fabrics, yet all were made easily without facings, zippers, buttonholes, etc. There were many magical “push the button” or even “enter it on the computer” sewing, serger, coverstich and quilting machines. I was fascinated by a very large quilting machine that would sew the pattern by following what was drawn and programmed into its computer. It was a quilting machine too large for any house I have ever lived in! I’m sorry now I didn’t get a photo of it in action to share with you. One of the highlights of the day was the fashion show organized by “Andrea’s Sew Easy“. All garments were made by her students, children from ages 6 and up. It was fabulous, not only seeing young people who had learned how to sew, but young people SMILING as they proudly showed off what they had created! Every student started their sewing education sewing a drawstring bag and graduated in a short time to PJs, activewear, jean jackets, dresses, etc. Oh, I would love to be involved in that! Another highlight was a demonstration by “Patrice Godin” who introduced us to historic fashion. Mr. Godin, an expert corset maker and theatrical costumer, showed us how proper ladies got properly dressed in the morning – I loved it! Here are a few photos I took to share. Apparently this hoop skirt could be a complete circle around the wearer, or with the ties fastened in the back, have a flat front and a poofy behind – all depending on the era for which you were dressing. Now the bodice. Mr. Godin said that quite often a woman, depending upon her station in life, would have only one skirt with many matching bodices in different styles for use in the day or the evening, or in warm or cold weather. Now the skirt. Six yards of fabric alone right there. The hem line in the back was considerably longer than the hem line in the front, just to accommodate the poofy behind (what’s it called?) caused by the hoops. AND apparently there were RULES – certain prints (flowers or leaves or birds) could not be worn together, or during certain seasons. It was suprising to me, but I guess logical, that in some not so well to do families the eldest daughter got the hoop skirt – until they could marry her off – then it was given to the next daughter, and so on and so on. Then there was the fact that you had to learn to walk properly so as not to cause a tidal wave of vibrations throughout your hoop skirt. So many Rules! Now for the finishing touch – the belt used to hide the join between the two pieces. This dress, we were told by Mr. Godin, was for the Lady of the House with it’s collection of keys hanging from her belt within reach – including the one key for the “room which we never speak of”. There was a lot of standing around patiently for this poor model, and a lot of wrestling and pulling and fastening for poor Mr. Godin, but our Lady was finally ready to go about her busy day. Mr. Godin was very entertaining and definitely knew his stuff. I swear I have to take a course in Historical Fashion some day – not necessarily because I want to sew six yards of fabric into a skirt, but I would love to learn how it was done! The rest of my day was spent shopping … I bought enough supplies from Cindy’s Threadworks and A Threaded Needle to make myself a bag – probably a large one I can use for weekend trips. I purchased a bag pattern, then I realized when I got home that I already had a more appropriate pattern for a weekender bag which came with a Craftsy course I purchased! Oh well, patterns are never a waste. I also purchased a two-coloured zipper that matched my two cotton/linen fabric choices. I also bought some “Soft and Stable”. It would do well in preventing my bag from flopping around! I did buy a matching adjustable strap too, even though Cindy recommended having a good look at home for old purses and bags that you could strip the notions off of. Is there anything I am missing? Any other supplies I should have for my weekender bag? Do you have any bag-making tips for us? A final note: I have not been given any compensation to mention any of these organizations, vendors, products or speakers. All that in one day ! It sounds fabulous. Looking forward to seeing your bag…. Making historical [and pseudo historical] gear is huge fun- not all skirts need that much fabric either- and yardage is often exaggerated as they used to produce much narrower fabric widths, so much piecing was going on! Hooped skirt styles do take the most though. 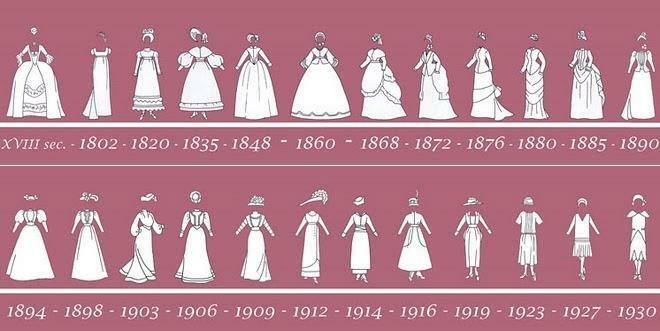 I prefer the later Victorian styles, with bustles and draped overskirts, and the leaner, sexier Edwardian shapes. Start getting into steampunk it opens up all the fun! I agree. The round hoops make me think the ladies were going no where, standing in one spot. The hoop in the back makes me think the ladies were on the move, going forward! And then you get the full on ‘lady centaur’ ffect of the extreme bustles. I love my lobstertail bustles! These fashions are so interesting to see! I don’t think the idea that you tie the hoops into that shape is right though, they are constructed to make the shape. Tying would just make them all wobbly and you’d lose the engineering! I think he was doing it for convenience, like “two hoops in one” for theatre costumes. He was all about making it easy for the performers and costumers. I think the ties were his idea. I know! Buying, pressing those buttons online, is way too easy! Which course? Let us know if you found it useful or not! Yes, it was interesting – a first for me and I loved it! Terrific insights Linda, wow, how fascinating to see the mannequin dressed like that. I made a bag at a class a couple of years ago and so I can pre warn you about the pitfalls! I never used mine! Firstly the iron on wadding stiffener stuff was too stiff for the fabric/leather, it just came across as very unnatural and cheap. Despite my best efforts the inner lining was a little twisted and the shape was twee – otherwise it was a raging success!!! I too have been eyeing off the travel bags in the Craftsy sale!! Good use for all those fabrics I wouldn’t be seen dead wearing! Funny you say that about the iron-on stiffener – the Craftsy instructor said she “loved it” and Cindy of “Cindy’s Threadworks” said “never use it” because it lets go sometimes and other times gets wrinkled and twisted! I can just imagine the fabric scraps that could be used up making a few bags though! Sounds like a fabulous day spent in heaven! I’m taking a class at a local fabric store that promisies to have us making our own bags with pockets and everything next month using only small pieces from our stash. The pattern is from a book called handmade style. Like you, i’ve never had much success with bags but I’m really looking forward to it! The samples are gorgeous! Thanks for sharing your fun day! Oh your welcome! Be sure to show us your bag and any tips you have learned. I have made a few bags before but not anything as sturdy as what I saw at the expo. I only wish there were more I could go too, and more classes. I have to stick with the on-line ones as there is not much else in my area. Bags from stash sounds like a great stashbusting idea! I love these sorts of shows. We have one every year (although it’s not as entertaining or comprehensive as yours), but I shall be missing it this year. Think of the money I’ll save! I might need some tips on where to shop in Vancouver, although I think Seamwork mag did an article on this. Well I have a place I like to go to in Richmond outside of Vancouver. I think it’s Richmond, my sister always drives me and I am never paying attention – talking too much! I know of a place in Vancouver too. I’ll get the name of it for you! Sounds like a fun trip for you! This looks like a fascinating event. I’m so glad you went. Historic fashion sounds so cool. A woman’s station in life….geez, I’d be a disaster in that hoop skirt…I bet I could clear a table. The young Sewists and designers are so inspiring. I agree with you, the more learning events/opportunities I hear of, I find myself saying a lot more, “I wish I knew of that when I was 18!” Thank you for sharing this cool event. Looks like a LOT of fun. I have been ogling the Sewing Workshop patterns. There are some lovely designs there. And you make me thank my lucky stars again that I was Born At The Right Time. I would hate a dress-regimen like that of “Our Lady”! I know, wasn’t that the most eye opening procedure! These Ladies all looked lovely. But the work involved… Well they might as well been “binding their feet”!